Change how you conduct your housing lottery forever. HDS Queue allows housing authorities to conduct hassle-free, fair, and impartial online registration and lotteries for Section 8 Housing Choice Voucher (HCV) programs. HDS Queue takes the traditional pen and paper lottery for HCV programs and puts it all online. No more waiting in line to turn in a preliminary application, no more inputting applicant data into your HDS system. HDS takes care of all the hassles by setting up a custom website for your housing authority, randomly selecting the applicants, and automatically importing the applicant data into your HDS system. 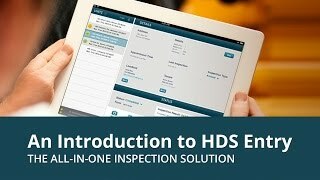 With HDS Queue Online Waiting List, no one comes to your office. Everything is managed online. HDS sets up and administers the system and your lottery website for you according to your unique specifications. No need to worry about technical hassles or maintenance—we take care of it for you. Customize your website with your logo, information, and instructions to applicants. You can also customize your preferences to ID eligible applicants, manage the opening and closing dates for the registration, and select the number of applicants you want on your waiting list. No need to manually enter new applicant data into your office computer. If you are an HDSWin user, we will import selected applicants directly into your system, saving you the hassle of cumbersome data entry. If you don’t have HDSWin, we can still provide reports in an easy to import .csv or Excel format.